With 160,000 inhabitants, Darmstadt is the only big city in Southern Hesse and, at the same time, counts as the region’s most substantial research and business location. Always discreet, Kurtz Investigations solve cases for personal clients as well as for companies in the entire Darmstadt-Dieburg region, the results of which are always valid for legal purposes. The cases include violation of child custody, child maintenance fraud, violation of sick pay, abuse of expenses paid, and industrial and corporate espionage. Our IHK certified investigators in Darmstadt will gladly advise you in a non-binding informational interview on your individual matter, free of charge: +49 69 1201 8431. Not convinced yet? Have a look at our references! In 2016, Darmstadt recorded 349,017 visitors with more than 714,000 over-night stays. The Altes Rathaus (Old Town Hall), the castle at the market square, and the buildings of the Mathildenhöhe are only a few of the city’s landmarks. Our experienced private investigators in Darmstadt are able to keep travellers as well as locals under surveillance: the possibly unfaithful partner, those who are obliged to pay maintenance and yet work illegally, and the persistent stalker, as well as others. Due to the variety of reasons for commissions, the private investigators of Kurtz Investigations frequently work beyond the city’s boundaries, namely in neighbouring towns like Griesheim, Groß-Gerau, Pfungstadt, and Weiterstadt. In addition, we work on a nationwide and transnational level for clients from Germany and abroad. The results gained in our surveillance and research will be listed in a valid investigation report, which will allow you to enforce your legal entitlements in court. In case of need, please send us an e-mail via our contact form, including a brief summary of your matter, or give us a call on the above-mentioned number. We will inform you, without commitment, about case-specific investigation options. Darmstadt counts 17 business areas where corporations of various industries are located: chemistry; pharmaceutics; biotechnology; information and communication technology; engineering; electrical engineering; mechatronics; and space technology. Among the city’s best-known corporations and largest employers are the Carl Schenk AG, Merck, Wella, the HEAG Holding AG, Isra Vision, the Kao Germany GmbH (previously known as Goldwell), and Evonik-Röhm. Additionally, Darmstadt hosts more than 30 research and scientific institutes or corporations, and their sensitive work fields would require strong support through the preventive security options of our corporate investigations in Darmstadt. The numerous educational facilities round out the complex image of an innovative area: the Technische Universität Darmstadt, the Hochschule Darmstadt, the Evangelische Hochschule Darmstadt, and the International Berufsakademie (University of Cooperative Education). Unfortunately, companies engaged in research and innovation are often the focus of national and international espionage activities. Eavesdropping operations, bribery of employees, and cyberattacks are only a few of the many ways that unscrupulous individuals and organisations unlawfully appropriate other people’s intellectual property. 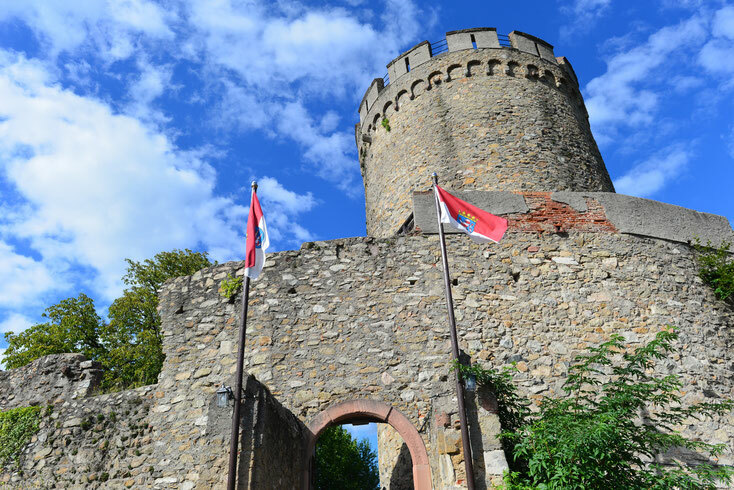 In the event of damage, our academically trained IT specialists and professional wiretapping protection experts in Darmstadt will lend local companies their support. Likewise, we will gladly assist you in preemptively optimizing your security arrangements. 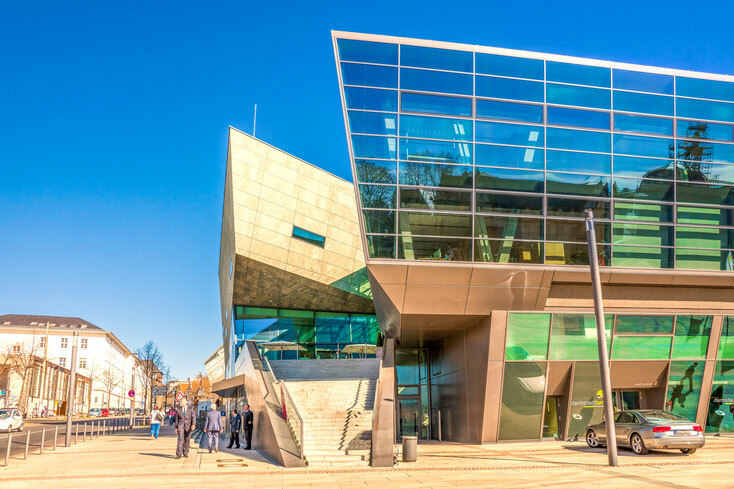 The science and conference centre darmstadtium represents economics and science not only because their work is devoted to innovation and research, but also because it is named after the eponymous chemical element discovered in Darmstadt. One of the most significant causes of damage to a company is the employed workforce – damage caused by above-mentioned espionage activities, cases of feigned inability to work, false wages claims, abuse of expenses, prohibited additional occupation with resulting reduced performance and conflicts of interests, theft, embezzlement of company property, and similar internal problems. Our investigators in Darmstadt detect disloyal employees through meticulous research and discreet surveillance, the recorded results of which can be used in court. We also work with clients to implement preventive measures in this area. Our inspection of applicants helps you to preemptively eliminate potential fraudulent applicants from the selection of candidates. Likewise, we screen the business and criminal background of potential business partners. We gladly take your enquiries via e-mail through our contact form or discuss details over the phone on +49 69 1201 8431. *Please note: All operations of Kurtz Investigations Frankfurt are executed and billed from the Mainzer Landstraße in Frankfurt am Main. The other operating cities and regions advertised on this domain are neither local branches nor permanent establishments of Kurtz Investigations Frankfurt, if not explicitly stated differently. We can offer you affordable traveling expense flat-rates nationwide. The same applies for traveling to a wide range of areas abroad. When operating in the countryside, the cost evaluation starts from the next greater city. You can find further information on our fees here, and on operating areas here.